Looking to make the first step in your career in scuba diving? Your adventure into the professional levels of recreational scuba begins with the PADI Divemaster course. Working closely with one of our highly experienced PADI Instructors, you will expand your dive knowledge and hone your skills to the most professional level. PADI Divemaster training develops your leadership abilities, qualifying you to supervise dive activities and assist instructors with student divers. During the PADI Divemaster course, you learn dive leadership skills through both classroom and independent study. You complete water skills and stamina exercises, as well as training exercises that stretch your ability to organise and solve problems as well as help others improve their scuba diving skills. You put this knowledge into action through a structured internship or series of practical training exercises. Here’s your chance to share your love of diving with others. So give us a ring to see if you’re leadership material! 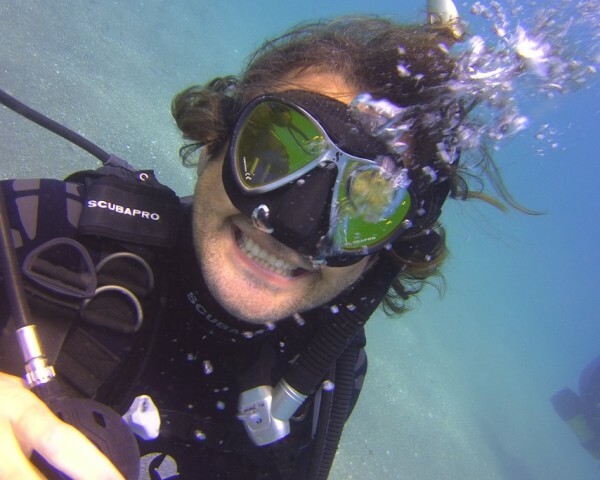 Want to gain some essential experience to compliment your Divemaster training? Email us for details of our very popular Simply Diving Divemaster Internship Programme. Before signing up for any PADI Professional course, you will be required to complete and sign the standard PADI Medical Questionnaire [PDF, 120KB], with signed clearance to dive from a doctor. We recommend taking the form to your doctor for completion before you travel to Spain, but we can arrange for a medical check and certificate for 30 euros with our local diving doctor.